A baby girl born without arms has proved to the world that nothing is impossible by learning to eat using her feet. 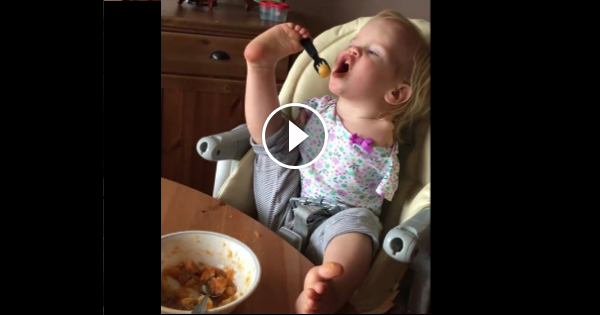 The video showing her eating by herself – using just her feet has brought many to tears. The mother Elmira Knutzen posted the video of her daughter Vasiliny scooping up a bowl of food using a fork wedged between her toes. It was not easy for the baby at first, at the initial stage, she tried without success, but finally succeed after carefully adjusting the cutlery and lifted her foot towards her mouth to eat a potato . The touching video have generated over 68 million views and over 500k comments since it was shared on Facebook earlier this week.